Aaron Brown’s bold sensitivity as a vocalist and a songwriter has garnered him favorable comparisons to Amos Lee, Otis Redding, Sam Cooke, and Ben Harper. The Philly-based artist draws from a refreshingly eclectic blend of blues, folk, rock n’ roll, and his hometown’s distinguished heritage of soul and, more recently, indie rock. Performing as Aaron & The Spell, his captivating solo acoustic performances and incendiary full-band outings have helped him build an impressive profile among audiences and critics alike. 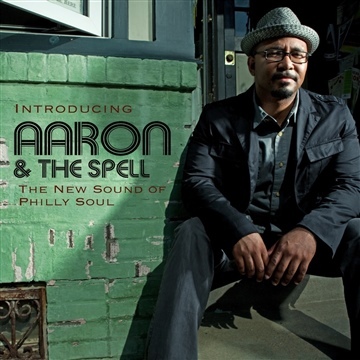 Bruce Warren, WXPN (from NPR Music, 10 Artists You Should Have Known) raves: "Singer-songwriter Aaron Brown is an exciting new name to add to the lineage of the city's expressive and emotionally intense soul singers.” Aaron & The Spell’s debut, Sing, includes a stunning mix of honeyed ballads and simmering soul. The album was written during an emotionally raw time when Brown’s previous band broke up, his longtime relationship unraveled, and he moved to a new town. He took solace in crafting Sing and there is a soulful catharsis to songs like “Don’t Cry,” which has been played regularly on WXPN, and “A Beating Heart,” which recently won the Independent Music Award in the Adult Contemporary Song category. Brown has also been nominated for a Tri State Indie Music Award, named “Artist to Watch” in 2013 by Ticket Magazine/Montgomery Media, and listed as one of the “10 Artists You Should Have Known In 2012” on NPR Music.